The fifth and self-titled installment from the band that has set the standard for great music and great records in the �Texas scene� will undoubtedly move them into the mainstream of country music. The self-titling is standard for record labels as a ploy to introduce a band to the mainstream country world that thousands of fans in the bands region already know. The CD has debuted on the billboard charts at number 3 in its first week of release selling 17,000 units and becoming number 1 sales spot on iTunes. Randy Rogers Band is more specifically and tightly produced than previous Randy Rogers Band projects and somewhat lacks the originality and grit that has been the band�s signature on previous projects. Be it record label influence or a natural move for the band to a different standard of recording the CD is very �slick� compared to previous projects. However, there are some signature tunes on the record that will make any of the band�s long time fans very happy. Bass player Jon Richardson�s �Wicked Ways� is a classic Randy Rogers Band song that grooves with style and makes the listener smile. Micky Braun and Rogers co-wrote �Didn�t Know You Could,� which has some distinct punk backbeats that are sometimes signatures in other Micky Braun and Micky and the Motorcars� songs. The tune also has some delightful fiddle work by Brady Black. It is worth keeping. �In My Arms Instead� is tune that delivers some great country beats with Randy�s voice delivering his trademark grit and soul. �Buy Myself a Chance� is a tune that is both lyrically and musically just plain fun. Guitarist Geoffrey Hill�s �Break Even� is one of the coolest surprises on the CD. The tune is a great rock song that drives into the brain with great lyrics and guitar work. The best-written song on the record as a story is �When the Circus Comes to Town� by Rogers, Richardson, and Clint Ingersoll. The song plays like a rock ballad and is metaphorically themed on the touring and performing lifestyle. It is the most real and honest song the Randy Rogers Band has ever recorded which makes it a true diamond in the rough. Randy Rogers Band is a quality project but not as good as Just a Matter of Time. It is almost unfair to compare a band�s records to each other, but it has to be done to remain honest. It is all about expectations and outside of five or six great tracks on the CD, RRB does not live up to the expectations set by Just a Matter of Time. Randy Rogers Band will undoubtedly take the band to a higher mainstream level, and that is a good thing, but for fans that are accustomed to twelve crushing and fantastic songs all on one record, which has been the standard for the Randy Rogers Band, this newest project could disappoint. 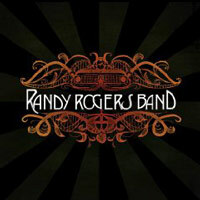 The Randy Rogers Band is one of the best country-rock bands ever formed. It is always great to wait for the next record and to be sure that some of, if not all, the tracks will always be quality. It is a hope they will make thirty records in their lifetime as a band. The fans will always be there to soak up those tunes.